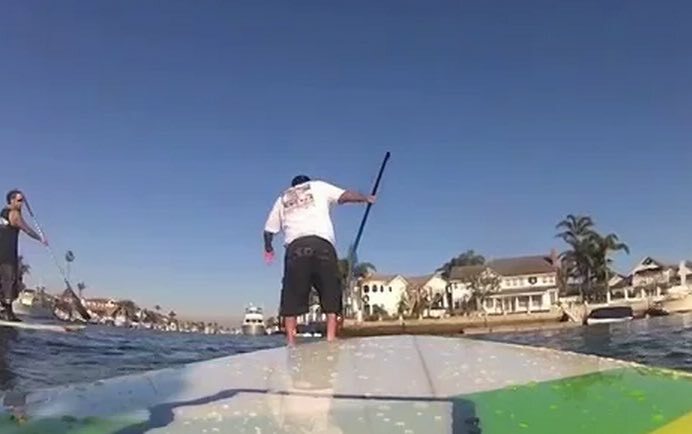 Korn’s bassist Fieldy and friends head out for a fun SUP session out in Newport Bay, but one of them just can’t hang. Standup paddleboarding has exploded in popularity over the past few years and people of all ages are getting into the action. However, it does require some balance skills and Fieldy’s longtime friend just doesn’t seem to have any. Much to our good fortune, because he is hilarious to watch!